It is easy to neglect the health of our feet, especially in the hustle and bustle of the urban life in Columbus, Ohio. This is because experiencing feet ailments is not only a problem of our elders. Any pain and ailment felt by the feet can affect their work and their lives. A Columbus podiatrist is able to serve patients regardless of their age bracket. It is important to consult a physician when pains arise. Anyone, from a young child to a great-grandparent, can find themselves needing the services of a podiatrist. The need to consult a podiatrist in Columbus may arise during a person’s life regardless of their age. At that time you will need the services of Columbus podiatry. A podiatrist is a physician who specializes in the diagnosis and treatment of feet conditions and is also referred to as a Doctor of Podiatric Medicine. 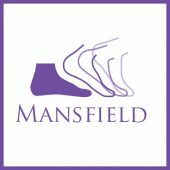 Our doctors of podiatric medicine at Gentle Foot Care are able to deliver the most effective assessment and procedures because of their board qualifications and relevant training. A doctor of podiatric medicine is a professional who graduated from a medical school of podiatry followed by a resident training in a medical institution. Our specialists are certified by both the Ohio Podiatric Medical Association and the American Podiatric Medical Association. 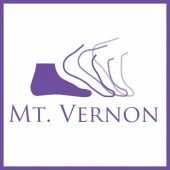 A board certified podiatrist has received advanced training and clinical experience and passed a rigorous examination. They are also called orthopedic doctors or simply foot doctor.. Accurate findings made with the use of modern equipment and methods result in a faster and more effective treatment. A special Padnet test for analyzing peripheral vascular diseases can be availed in our major medical centers. The physician is acquainted with the latest techniques and technology, like ultrasound and radiograph, to accurately identify the problem and properly administer a treatment. If the pain does not fade, something might be wrong internally. Commonly, foot sores and pains come and go but there are times when you can’t just walk them off. Visiting your nearby podiatrist can help you determine the real cause of the problem and the most effective treatment for your condition. Common ailments are taken up in the following paragraphs. A bunion can be quite excruciating especially when accompanied by a callus— a mass that is usually formed at the bottom of the largest toes. Wearing tight shoes can worsen the pain and cause swelling of the area. Wearing shoes, that are much smaller than your size, and even heels can make the discomfort worse. This painful condition is a usual problem consulted to podiatrists. This is a frequently concern from our patients. Feet problems can occur regardless of our age, so it is best to be on top of your kid’s overall health. Be sure to be aware of any issues from infancy up to late childhood. Foot trouble can arise in every stage of a child’s development. When your kids show early symptoms of foot concerns, have it checked right away. In the worst case, uncontrolled diabetes can result in foot or leg amputations. To prevent further complications, it is advised to have regular checkups for diabetic patients. the feet are often hidden from view, care should be taken daily in checking for problems there. It is advised to have a yearly check-up for the feet of diabetics. Diabetics should be more wary of injuries or cuts on their feet because of their condition. Responsible personal checks are required to make sure the health of diabetics is maintained. Annual foot exams are recommended. Ingrown toenails are painful because they exert force on the insides of your toes. Ingrown toenails hurt. The complex structure of the foot is responsible for your ability to move from one place to another by walking or running. Our feet should always be in the best condition so we can continue our duties and responsibilities. For you to function at your best, you must learn to take care of your feet. Pains occur when the feet is subjected to continuous force due to running, walking and even standing. It receives the force exerted by the body onto the floor so keeping it healthy is a primary concern. The biggest bone in the foot absorbs most of the pressure and shock during movement. 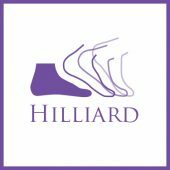 The heel can be damaged in various ways or be affected by a systemic condition such as arthritis or an infection. Leaving it as it is can worsen the problem. Rest can alleviate the pain caused by heel pains. Changing to proper-fitting footwear, ice and rest may relieve the pain. Arthritis is another major factor. Plantar fasciitis is the inflammation of the ligament that runs along the distance of the heel and the other end of your feet. Inflammation of the plantar fascia can be very painful. This is a ligament that extends from the heel bone to the end of the foot. This condition is commonly diagnosed with plantar fasciitis.Many are painless, but some are very painful. This can either be painful or not. Arthritis, especially osteoarthritis, often causes ankle pain. The essential function of the ankle is hindered when it is inflamed, so ankle pains limit your mobility. Initial care can be given to sprains by means of rest and hot and cold compress. For worse scenarios, take the patient to the nearest podiatric clinic immediately. This kind of condition is familiar to most athletes. Repairing the damage takes time to complete. Rest is still advised. The sprain is rested, given cold and warm compressed and elevated. Depending on the number of ligaments overstretched, the sprain can be exceedingly painful. A fractured ankle cannot be normally differentiated from a normal sprain. It’s always best to consult a podiatrist for the correct diagnosis and treatment. A broken ankle can only be properly identified by an x-ray scan. These do not usually cause a problem for the patient. Severe bone fractures need to undergo surgery by a podiatrist for them to be treated accordingly. Contact Gentle Foot Care, your foot doctor in Columbus, for consultation and effective treatment of foot problems within your family. You can check out our website or contact 1-866-953-3519 for an appointment. We are located right in Columbus and near many wonderful things to do.